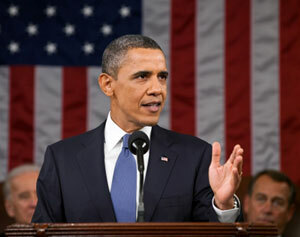 In his State of the Union speech, President Obama made reference to the need for improving our nation’s public schools. He was right to refer to teachers, apparently borrowing a phrase from the Koreans, as “nation builders.” That is certainly what teachers are. With 50 million students in public schools, there is a window of opportunity that presents itself to culture-shapers. Ninety-four percent of young Americans sit in one institution –- the public school -- for thirteen years (K-12) before scattering throughout society. However, I want to raise a caution about the President’s singular focus on technical skills and knowledge. Over the next ten years, he wants to see 100,000 new teachers in science, mathematics, and engineering. That’s good. But it’s not enough. We are mistaken to think that growing a nation of scientists, engineers, and mathematicians will be our national salvation. Most “education reform” focuses on behavioral problems such as decreasing dropout rates or improving test scores. But this does not address the spiritual and moral needs of students -- the very thing that America so desperately needs. Yes, teachers are nation builders. The question is what kind of nation are they building? Those of us who take Adams’s words to heart must join in the cause of building a nation that maintains the moral and spiritual values our Founders believed are so essential to our national health.